Comcast on Wednesday confirmed rumors that it intends to outbid Disney for 21st Century Fox and some of its subsidiaries, in a deal that could radically shake up the streaming media landscape — if it's approved. Comcast said only that it's in "advanced stages" of preparing an all-cash offer, which would have to top Disney's $52.4 billion in stock. The bid would specifically cover the businesses Fox has agreed to sell to Disney, excluding Fox News, Fox Business, the Fox Broadcasting Company, and "certain other assets." "The structure and terms of any offer by Comcast, including with respect to both the spin-off of 'New Fox' and the regulatory risk provisions and the related termination fee, would be at least as favorable to Fox shareholders as the Disney offer," Comcast added. Either takeover would further homogenize the media world. 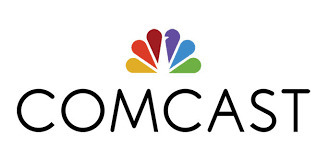 Comcast is not only an internet and cable provider, but in control of NBC, Universal, DreamWorks, and many other related properties. It also has a 30 percent stake in Hulu along with 21st Century Fox, Disney, and Time Warner — that stake would probably increase after an acquisition. Apple presumably favors Disney, with which it has close ties. Disney CEO Bob Iger is on Apple's board of directors, and former Apple CEO Steve Jobs was at one point Disney's largest individual shareholder, thanks to the latter's buyout of Pixar. Disney products are frequently pushed in Apple marketing. Any acquisition would have to survive scrutiny from U.S. regulators, some of which have become concerned about the growing absence of competition.